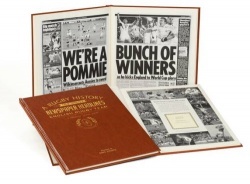 The history of the England Rugby team through newspaper reports. 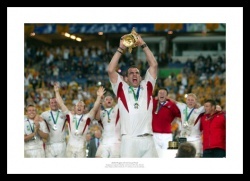 Three photos from the 2003 final. 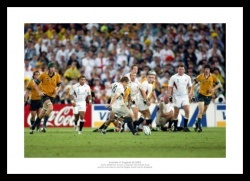 The kick that won the 2003 World Cup. 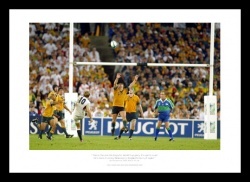 The drop goal that won the World Cup. The England team celebrate after the final. 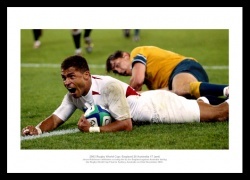 Jason Robinson celebrates after scoring. 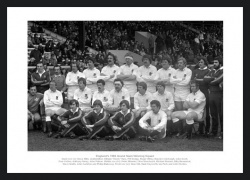 Captain Bill Beamont and the England team. 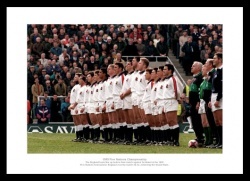 The team line up before their match against Scotland. The moment England won the World Cup. 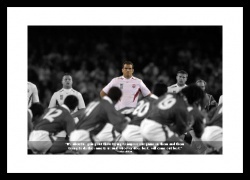 Martin Johnson and the England team refuse to be intimidated. 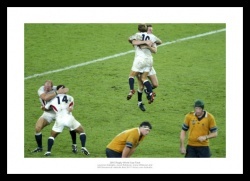 Wilkinson & Johnson fromt he 2003 World Cup Final. 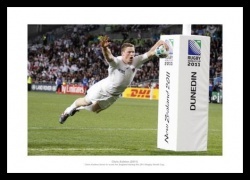 Wilkinson's famous preparation is superbly captured. 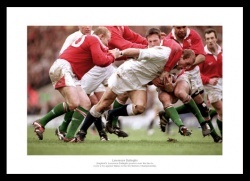 Dallaglio powers forward during the six nations.